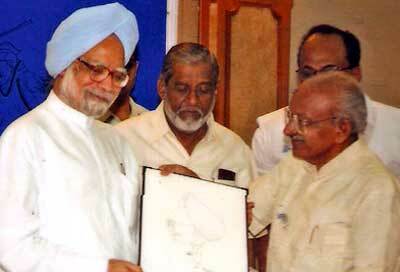 Cartoonist Yesudasan presents a caricature to Honorable Prime Minister Dr Manmohan Singh. 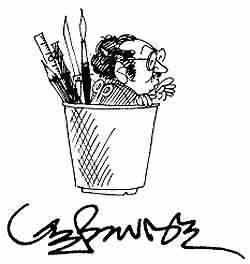 Kerala Legislative Assembly Speaker Shri Therampil fecilitates Cartoonist Yesudasan. Bichu Thirumala, Dr Babu Paul, Ananda Kumar and Vijayakumar next to him. 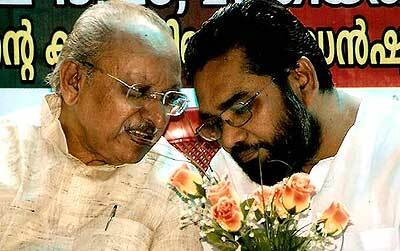 Yesudasan with former minister Shri MA Kuttappan. 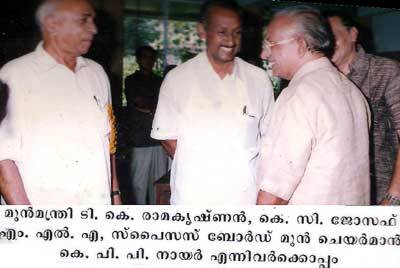 With former minister Shri TK Ramakrishnan, KC Joseph MLA and KPP Nair. 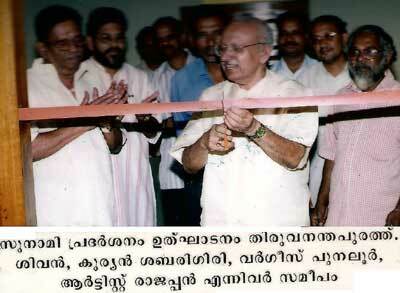 Kerala Lalithakala Akademi Chairman Yesudasan inaugurates an art exhibition at Thiruvananthapuram in support of tsumani victims in the state. 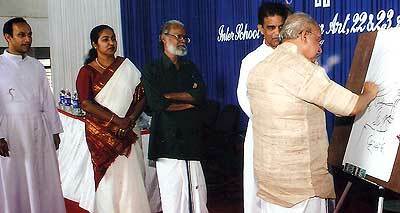 Sivan, Kurian Sabarigiri, Varghese Punaloor, artist Rajappan next to him. 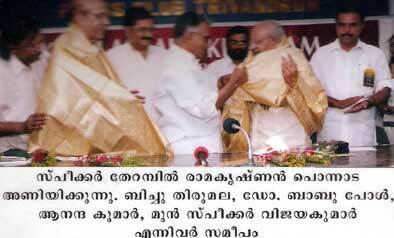 Kerala Chief Minister Shri AK Antony presents the PL Francis Memorial Award to Yesudasan on August 06, 2004 at Olloor. 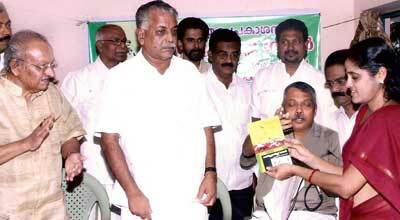 Yesudasan inaugurates Sainuddeen Edayar's photo exhibition on Periyar on August 1, 2008. 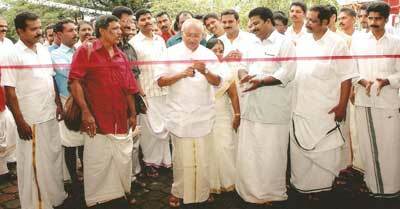 Yesudasan inaugurates Mammiyoor Krishnankutty Nair Memorial Mural Camp at Kalady. Next to him: Saju Thuruthil, TG Jyothilal, Dr KS Radhakrishnan of Sanskrit University, Dr MG Shashibhooshan and NM Pierson. 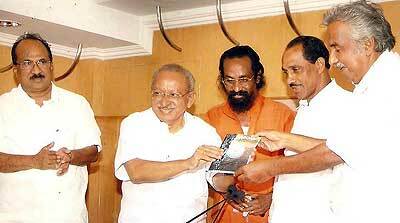 Opposition leader of the Kerala Legislative Assembly Shri Oomman Chandy release Srimoolanagaram Mohanan's 'Amaram' on August 18, 2008. Prof KV Thomas, and K Babu next to him. Simon Britto gives a copy of the book "Cartoonist Shankar" to CS Sujatha, Member of Parliament. Cartoonist Yesudasan, Jithesh, Premjith (Author) MAK Azad, Kayamkulam Muncipal Chairman A Nazurulla, Prof MR Rajasekharan and Adv O Harris next to them. 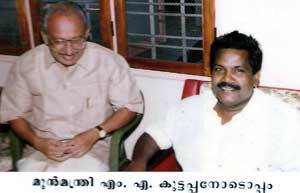 Yesudasan with DR KS Radhakrishnan, Vice Chancellor of Sanskrit University, Kalady. Cartoonist Yesudasan caricaturing Prime Minister Dr Manmohan Singh as part of the inauguration of two-day inter school workshop on art - 'Fresco 08' - organised by the Kristhu Jayanti School at Kochi, Kerala.